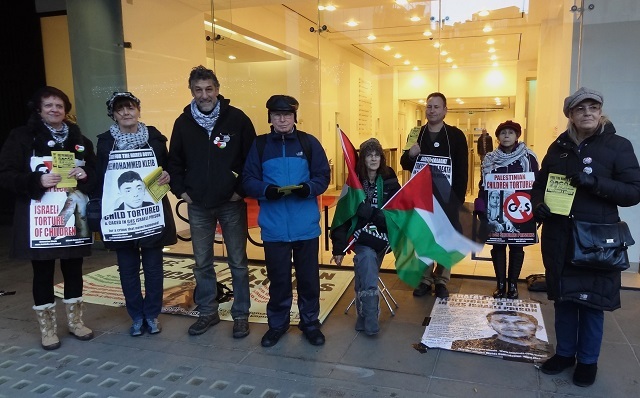 On Friday, Jan 4th 2014, protesters gathered outside the G4S headquarters in London Victoria, holding placards and distributing leaflets denouncing the torture and imprisonment of five Palestinian children. 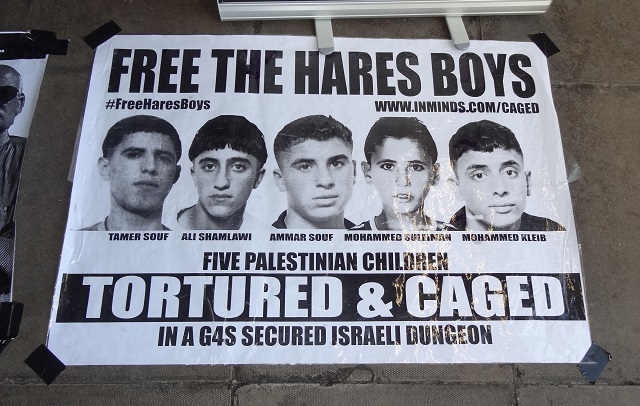 These five boys from Hares, in the occupied West Bank have each been charged by the Israeli military court with 25 counts of attempted murder for throwing stones. 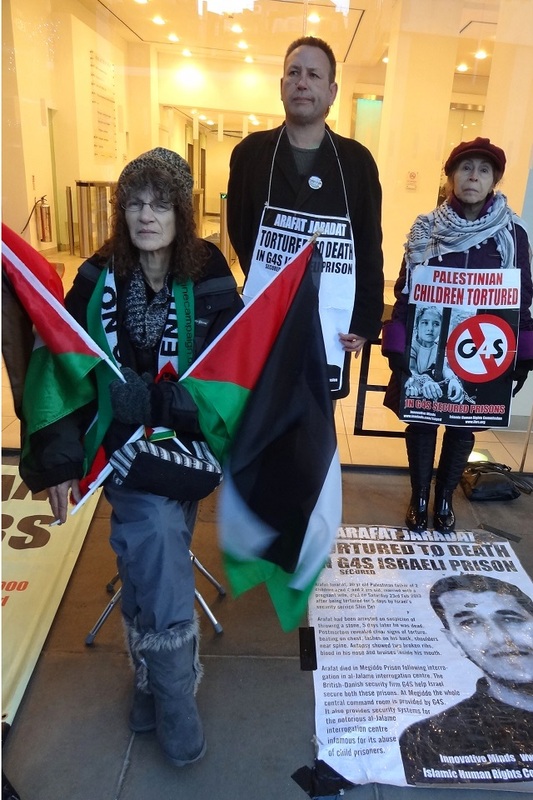 Without any evidence of these alleged offences the boys have been imprisoned for 10 months in a G4S-secured facility, without trial, and subjected to brutal solitary confinement for up to two weeks, robbing them of their basic human rights. This protest is part of a global campaign demanding the immediate and unconditional release of all the children. 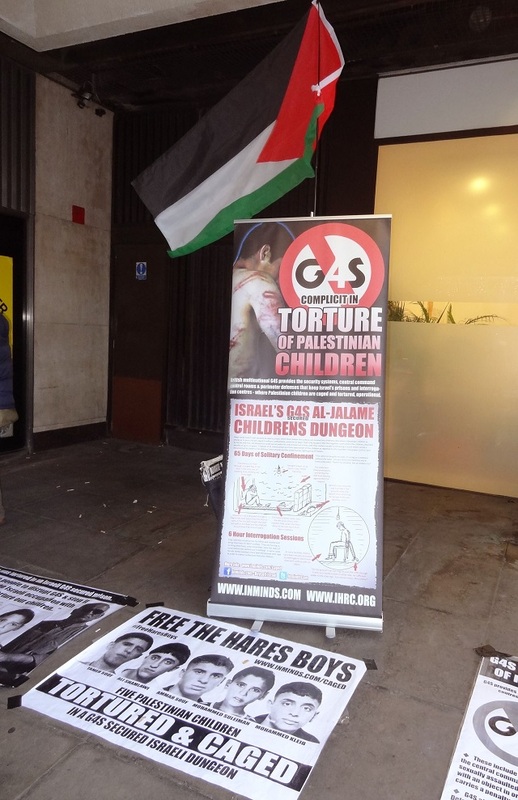 Thanks for helping publicise the campaign against G4S for its complicity in Israel’s war crimes. Great pictures. 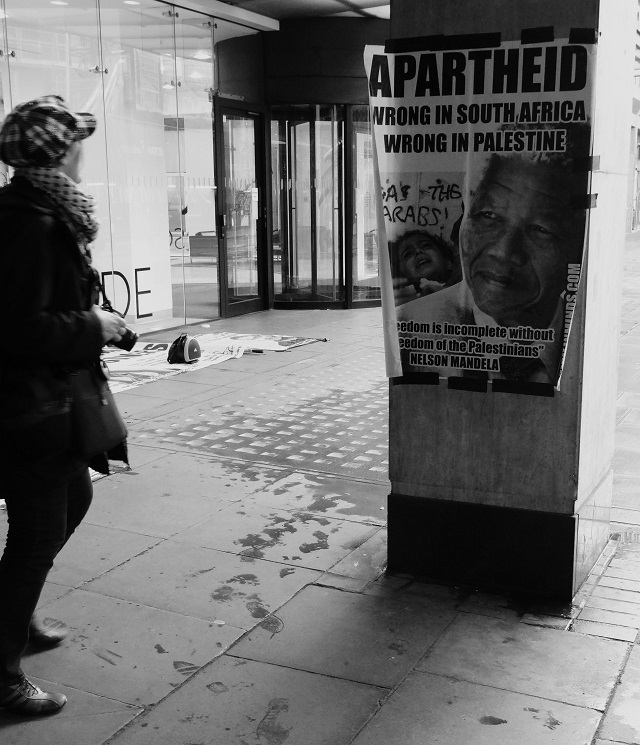 Thanks to everyone who attended the protest and to Lucy Yelland for putting this beautiful photo story together. 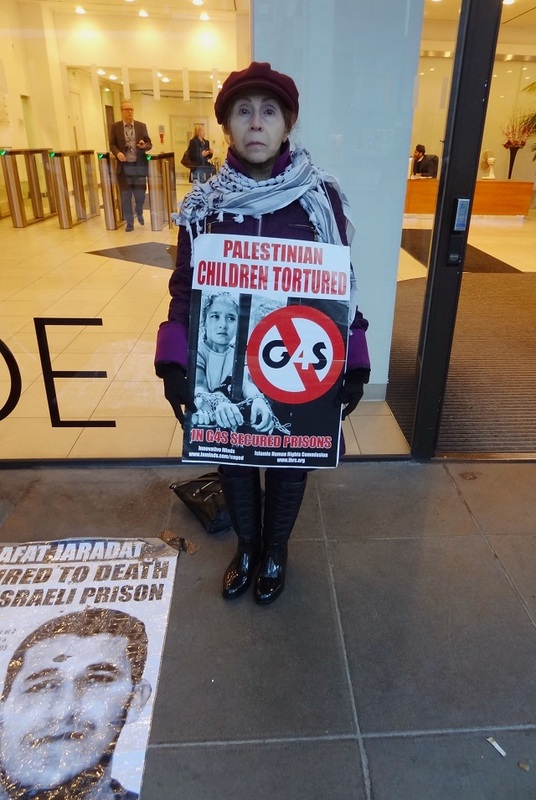 Israel currently holds around 200 Palestinian children incarcerated in G4S-equipped adult military prisons. It is deliberate state policy meant to criminalise the young generation, devastate them psychologically and break the spirit of their families. Torture of children in these prisons has been well-documented. Freedom for the Hares Boys! Freedom for all Palestinian children!